PITTSBURGH, PA, USA, April 23, 2019 /EINPresswire.com/ — Today, Tru-Tech Valve, a Pittsburgh based Diaphragm valve manufacturer, appointed Chetan Chothani as their Chief Executive Officer. Established in 1958, Tru-Tech is celebrating it’s 60th year as a manufacturer of Diaphragm Valves as one of the original licensee of the Arco-Wynn Diaphragm Valve design. Tru-Tech recently launched a new corporate logo and website as part of their push towards becoming a top supplier of diaphragm valves to various industries worldwide. The appointment of Mr. Chetan Chothani as CEO, along with the new corporate logo and website, is part of Tru-Tech’s initiative to become a market leader in Diaphragm Valves worldwide. About Tru-Tech Valve: Tru-Tech valve is a Pittsburgh, PA, USA based manufacturer of Diaphragm Valves. Tru-Tech offers diaphragm valves in both short-body, ANSI B16.10 and long-body MSS-SP88 format. Tru-Tech offers a wide range of body, lining and Diaphragm materials for chemical compatibility with most chemicals, including acids and bases. Tru-Tech valves are ideally suited for entrained solids and slurry streams as well as for clean water applications. Tru-Tech serves the Water/Wastewater, Chemical, Pulp and Paper, Refining, Mining and Minerals, Metals and Industrial markets. This report focuses on the global Carnallite status, future forecast, growth opportunity, key market and key players. The study objectives are to present the Carnallite development in United States, Europe and China. To analyze global Carnallite status, future forecast, growth opportunity, key market and key players. To present the Carnallite development in United States, Europe and China. 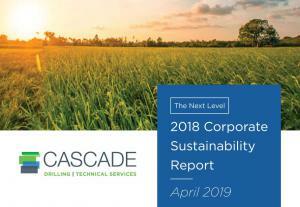 BOTHELL, WASHINGTON, UNITED STATES, April 22, 2019 /EINPresswire.com/ — Cascade Environmental (“Cascade”), a leading field services contractor of drilling, site investigation, and remediation services celebrates Earth Day with the release of its 2018 Corporate Sustainability Report. “We are taking our reporting efforts to the next level with this, our fifth annual report,” explains Sue Bruning, Chair of Cascade’s Sustainability Council. “This report covers the calendar year 2018 and, in many places, we’ve included data from our two previous reports to help our stakeholders understand the trends in our business and our progress towards stated goals. The data provided in the report represents the entire Cascade family of brands and has been prepared in accordance with the GRI Standards: Core option,” says Bruning. • World-class behavior-based safety program that has institutionalized hazard identification and risk mitigation throughout the organization, leading to an unprecedented OSHA Total Recordable Injury Rate of 0.58 for environmental field services industry. Cascade’s 2018 Annual Sustainability Report is available on the company’s website at www.cascade-env.com/about-us/sustainability/. This report studies the global Disposable Garbage Bags market status and forecast, categorizes the global Disposable Garbage Bags market size (value & volume) by manufacturers, type, application, and region. This report focuses on the top manufacturers in North America, Europe, Japan, China, and other regions (India, Southeast Asia). 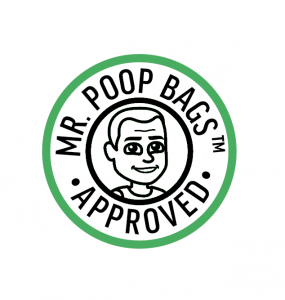 Focuses on the key Disposable Garbage Bags manufacturers, to study the capacity, production, value, market share and development plans in future. Environmentalist and entrepreneur Gasper Guarrasi shares an exclusive insight into his ongoing commitment to, and support of, global environmental protection. NEWPORT BEACH, CALIFORNIA, USA, April 17, 2019 /EINPresswire.com/ — A focus on protecting the natural environment, environmental protection is a practice carried out by individuals, organizations, and governments around the world in an effort to conserve natural resources and, where possible, repair existing harm, while also reversing currently damaging environmental trends. A proud environmentalist and humanitarian committed to the protection of the planet and environment, lifestyle business visionary and entrepreneur Gasper Guarrasi explains more about his ongoing support for international environmental protection efforts, as well as initiatives and associated global movements focused on the cause. "As an environmentalist, I'm driven to innovate and to employ my entrepreneurial know-how to support the protection of the natural environment and to make the world a better place," explains Gasper Guarrasi, a serial entrepreneur based in Long Beach, California. The man behind Frog Environmental, Guarrasi is responsible for one of America's largest environmental firms in the field of stormwater pollution prevention and compliance. Both Guarrasi personally, and the company itself, have been highly active in supporting the cleaning of the environment, both in California and across the United States, as well as overseas. "From an environmental perspective, something which I'm particularly enthusiastic about is making changes to improve natural water quality across the board," suggests Guarrasi, "both for humans and for the planet's incredible wildlife, too." Entrepreneur Gasper Guarrasi is keen to promote the work of organizations such as Conservation International, Friends of the Earth, the Environmental Defense Fund, the Natural Resources Defense Council, Pure Earth, the Earth Day Network, the National Wildlife Federation, the Wetlands Initiative, and Seacology, in addition to the U.S. Department of Commerce's National Ocean Service and National Oceanic and Atmospheric Administration. 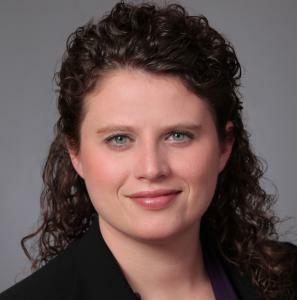 Guarrasi is also a keen proponent of action and advocacy, national park funds, and both land and water-focused environmental charities and initiatives more generally. Other charities, organizations, and good causes supported by the entrepreneur include the Haitian Disaster Relief Fund, the American Red Cross, Doctors Without Borders, Save the Children, Millers Children's Hospital, the Special Olympics, The Art Of Living Global, the Coalition for Improving Maternity Services, the National Partnership for Women and Families, and March of Dimes. Gasper Guarrasi is a respected environmentalist, humanitarian, and serial entrepreneur from Long Beach, California. A frequent and generous supporter of charities including Doctors Without Borders, the American Red Cross, and Save the Children, the lifestyle business visionary has also partnered with famous fellow humanitarians including Misty May, Paula Abdul, and Dr. Oz on a series of revolutionary, well-being-focused products and services. Founder, CEO, and creator of G2 Lifestyles and founder and former CEO of TRAINERbrands, Guarrasi has long enjoyed a fast-paced, competitive lifestyle, including as the president of a $100 million company.